1951. 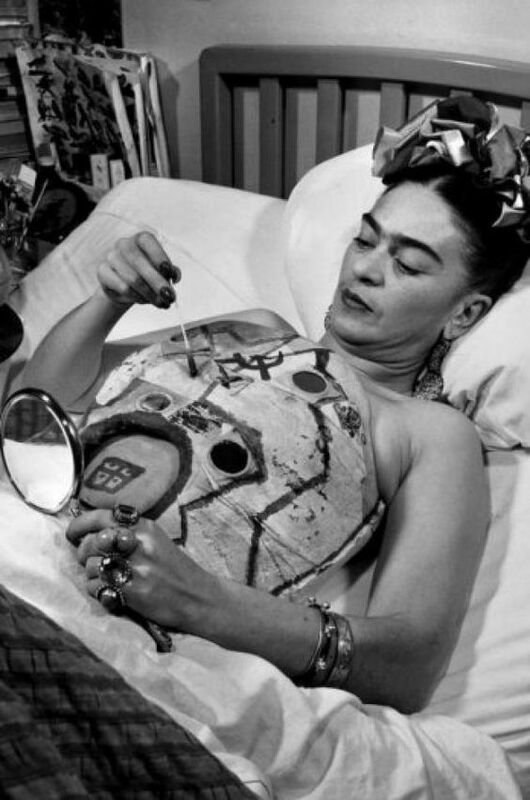 Frida Kahlo in her hospital bed, painting on her body cast with the help of a mirror. Photo by Juan Guzman.